The Dark Eye is Germany’s premiere fantasy role-playing game, in continuous publication for more than 30 years, now in English in this exciting Deluxe edition. The Dark Eye is Germany’s premiere fantasy role-playing game, in continuous publication for more than 30 years, now in English in this exciting new edition. You and your friends play the leading roles at the center of heroic action. Travel the land as a virtuous knight, elven ranger, or erudite mage. 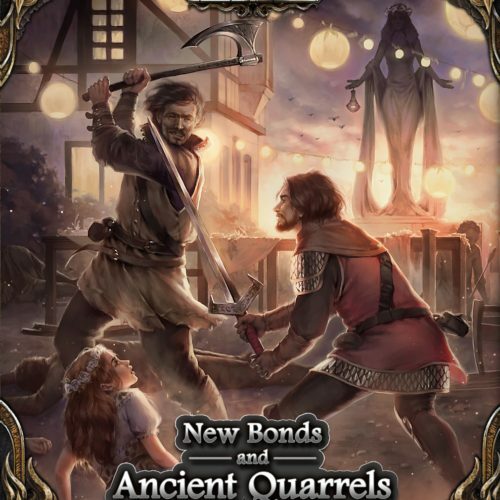 Rebuild the war-weary Middenrealm, marvel at exotic wonders in the Lands of the Tulamydes, discover lost ruins in the steaming jungles of the South, or try to drive back the evil of the Shadowlands. Rescue innocent victims from cults of the Nameless One, navigate labyrinthine plots and intrigues at the Court of the Empress, or stand shoulder-to-shoulder with the brave defenders of the border cities to repel the ever-growing Orc Storm. 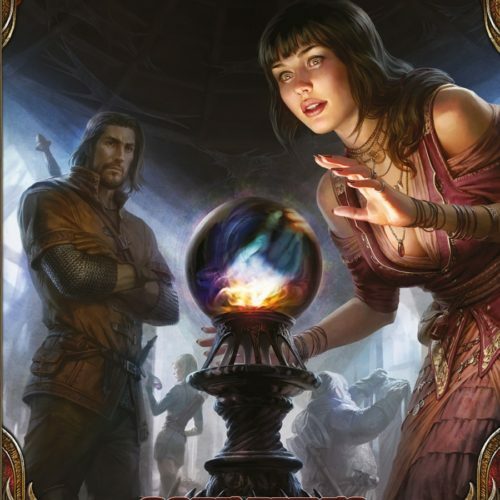 Experience the breadth of Aventuria, The Dark Eye’s immersive fantasy world crafted by those steeped in medieval lore amid ancient forests, forbidding mountains, and fairy-tale castles. 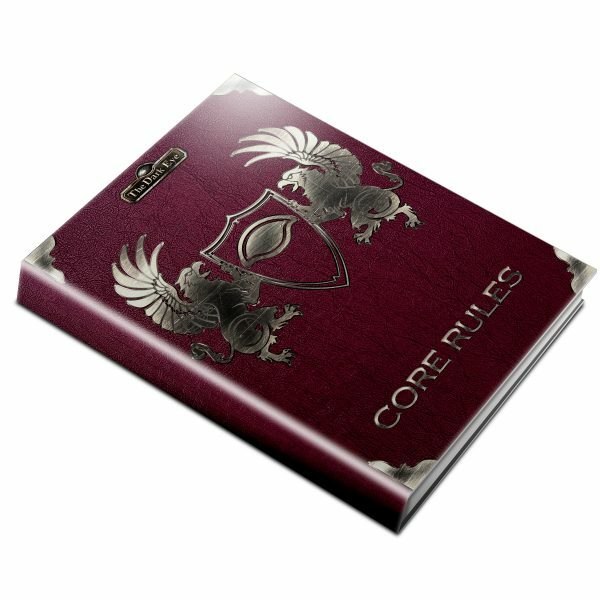 The Core Rules present all of The Dark Eye’s refined, time-tested game system. Character experience earns additional skills, new spells, and special fighting styles to face ever greater challenges. To get started, all you need is pen and paper, dice, and this book. 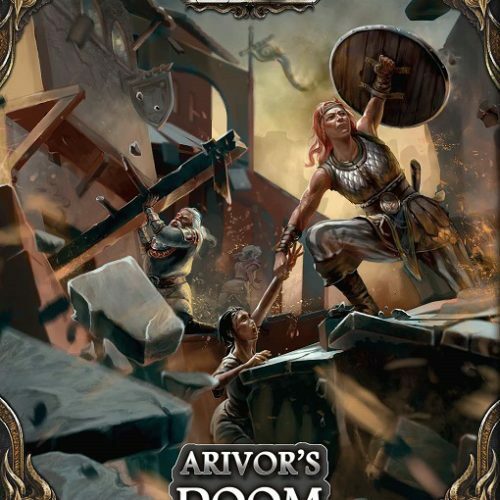 Build the characters you want to play, or choose from a large selection of customizable character archetypes. Enter the classic fantastic world of The Dark Eye. Glory and adventure await! This Deluxe Edition features a red leatherette cover embossed in gold!